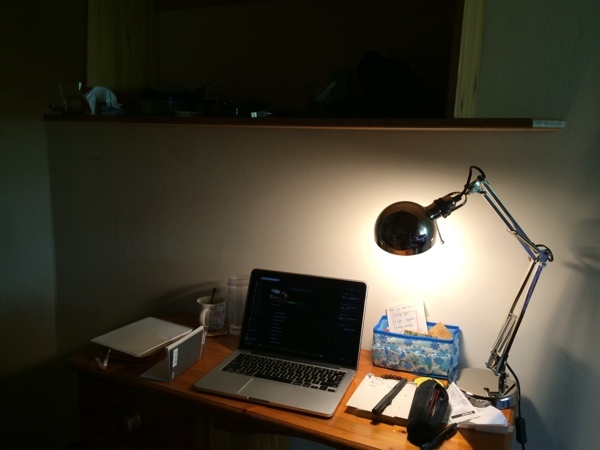 I can work here, in a room of my own, with my worktop of the right height and the lamp of a good light; when I turned my head I can see the window and the green, when I need to write I have all my pens and notebooks tidy and clean. This could have been my ideal. But I don't know how to build a relation to anyone, any places. I'm trying to work hard. For more possibilities in the future. But at this moment, there is not a expectable "future" for me. I might be able to understand your feeling of loss. But we're only able to emphasise with each other; and the feeling will be always there. Is there a lighter way? Or has it to be heavy.